A breathtaking view is best enjoyed from the comforts of a beautiful pool deck. Overlooking vast fields of tropical greenery and sweeping coastlines, these five incredible pool decks promises to charm the socks off villa travellers in search of vacation homes that showcase the best of Sri Lanka’s natural beauty. 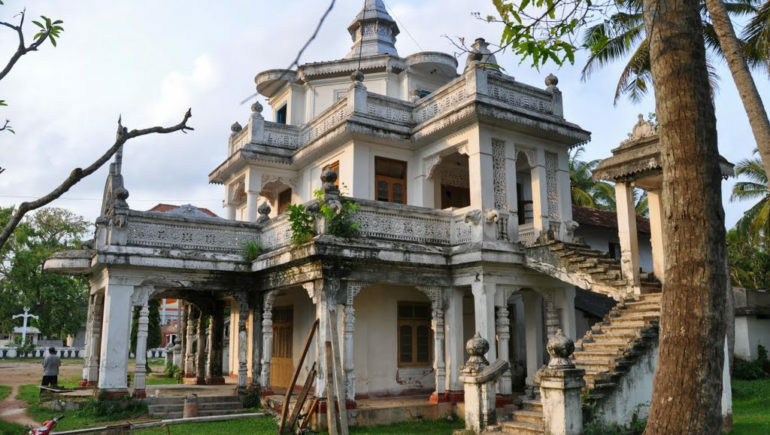 At Kadju House, travellers will quickly realise that a view from the top is truly the best. Venture up to the rooftop pool deck, and feast on the sight of Tangalle’s picturesque coastlines and emerald greenery. When you are not taking dips in the refreshing waters of the infinity pool, enjoy an indulgent massage in the luxurious spa room, or lounge about in the cosy comforts of this award-wiining villa’s luxe interiors. 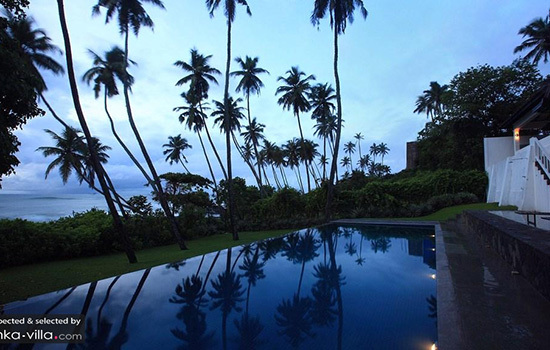 Set close to the southern coasts of Sri Lanka, Villa Coco Tangalla offers unobstructed panoramas of azure seas and scenic coasts. The generous pool deck is not the only spot for guests to enjoy these alluring views – holidaymakers wishing to escape the bright rays of the tropics can admire the surrounding sights from under the shade of the breezy verandah and outdoor pavilion, or seek refuge in the cooling interiors of the oceanfront bedroom. 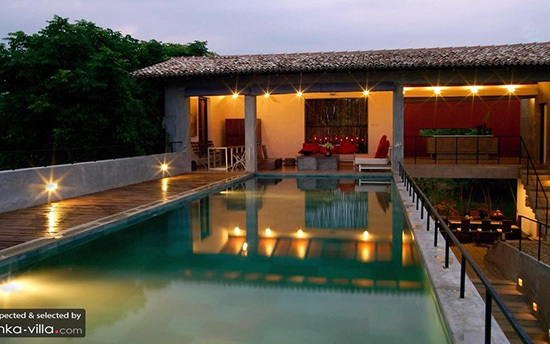 A spacious pool deck frames an expansive infinity pool at Villa Kumara. 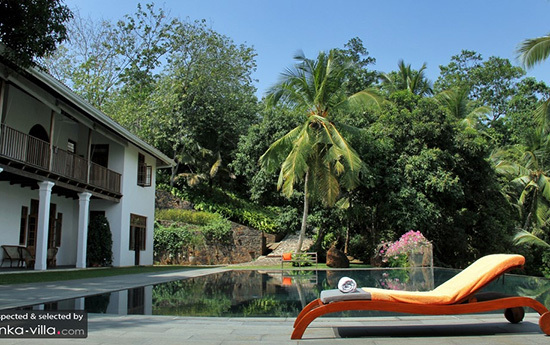 A bale sits in the corner, offering shade from the tropical rays, while cosy daybeds flank the pool, offering a comfortable seat for sun seekers keen on spending a lazy afternoon outdoors. The best part about the pool deck is the stunning views that it provides – guests who opt to lounge outdoors are rewarded with the sight of vast vistas of verdant greenery. Villa Lassana Kanda‘s excellent hilltop location means that guests get to enjoy sweeping vistas of dense, emerald forestry. Make the best out of your stay by gazing out at this luscious sight all day. In the mornings, enjoy a sumptuous breakfast at the breezy verandah while feasting on the gorgeous tropical views. The lazy afternoons are perfect for spending time lounging by the glistening infinity pool, on laying back against one of the daybeds lining the pool deck. A sparkling pool sits in the middle of Why House, its cool waters beckoning invitingly to vacation makers yearning for a respite from the heat of the tropics. 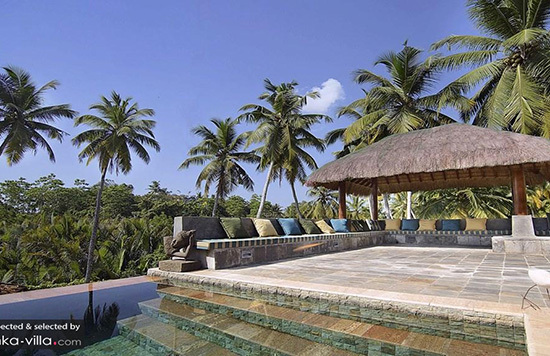 Day beds placed along the expansive pool deck promises to provide a snug and cosy spot for lounging outdoors. 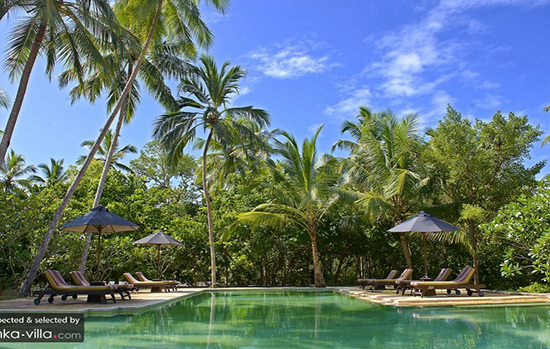 Enveloped by towering palms and swaying tropical trees, guests will feel as if they are relaxing in the midst of a lush, enchanted garden when they laze around leisurely by the pool deck of Why House. 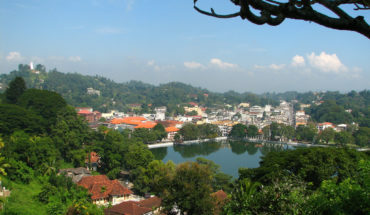 There is much to see and do on charming Sri Lanka. 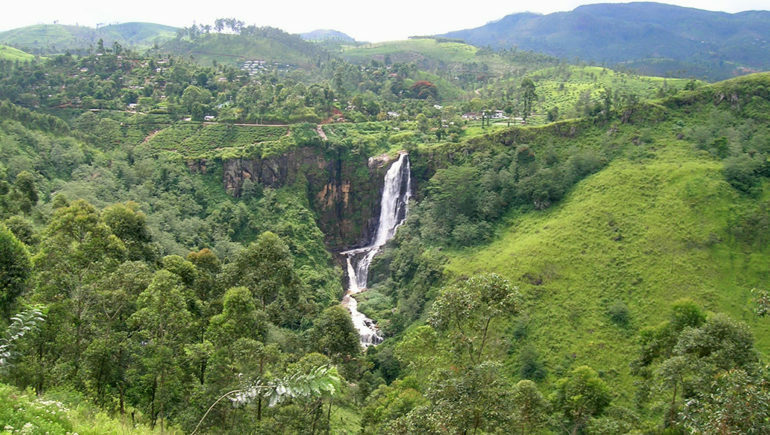 If you need inspiration for your travel itinerary, start your travel plans by browsing through our Sri Lanka Travel Guide. 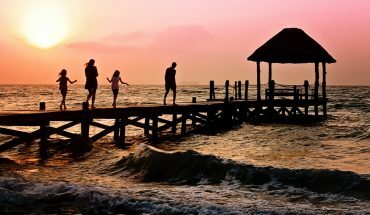 Complete your perfect tropical vacation by residing in one of our choice selection of luxury villas in Sri Lanka.